12 Noon to 10:30 p.m. Boogie woogie your way to Northeast Ohio’s premier Blues Festival for a 2013 lineup that’s sure to strike a chord with blues fans large and small! The 12th installment of the FREE summer festival, presented by the Canton Development Partnership (a department of the Canton Regional Chamber), is happening in downtown Canton on Fri., June 7, & Sat., June 8, with headliners Malina Moye and Shane Dwight! 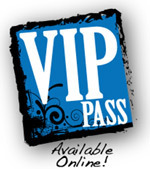 Canton Blues Fest VIP Passes are available again this year. Buy your two-day pass online for $75 and take advantage of FREE food and beer in the evenings (beginning at 5 p.m.) and incredible views of the stage all day. One-day Blues Fest VIP Passes are also available for $45. For more information about the 2013 Canton Blues Festival, visit CantonBluesFest.com.